Currently researching the social neuroscience of prosocial behaviour, with a focus on charitable giving at the University of Sussex. My supervisor is Dr Daniel Campbell-Meiklejohn, principle researcher of the Social Decision Lab. 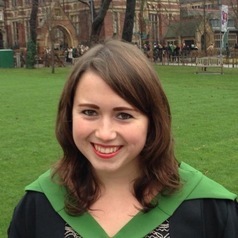 I graduated from the University of Leeds in 2015, top of my cohort with a BSc Psychology (International) including a study abroad year at the University of Sydney. Last year I completed an MSc in Cognitive Neuroscience with distinction at Sussex.